Tonight I had all my gal pals over to enjoy breakfast for dinner. Buttermilk pancakes (banana or chocolate chip or both), bacon, OJ and fruit was on the menu! Quite a successful evening! - Heat the oven to 200°F. 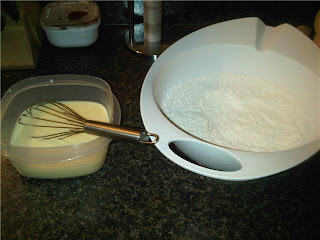 Melt the butter in a small bowl in the microwave or in a small saucepan on the stove and set aside to cool briefly. 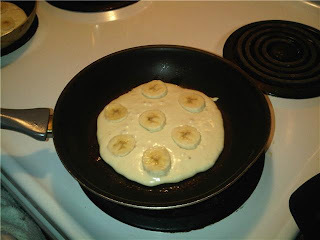 - Transfer the pancakes to a baking sheet and keep warm in the oven while you repeat with the remaining batter.